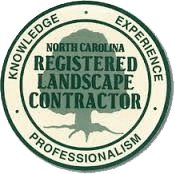 Do you have questions about our lawn care, landscape or hardscape services? Fill out the form below and let us know what services you’re in need of. Because each residence, business, HOA, retail location, and outdoor area (in general) are different, our team of licensed professionals will tailor a package that will suit your individual needs. We’re excited for the chance to earn your business. Additionally, if you’ve used our services and have questions or feedback for us, you can let us know here as well. We look forward to hearing from you!